The Hon. 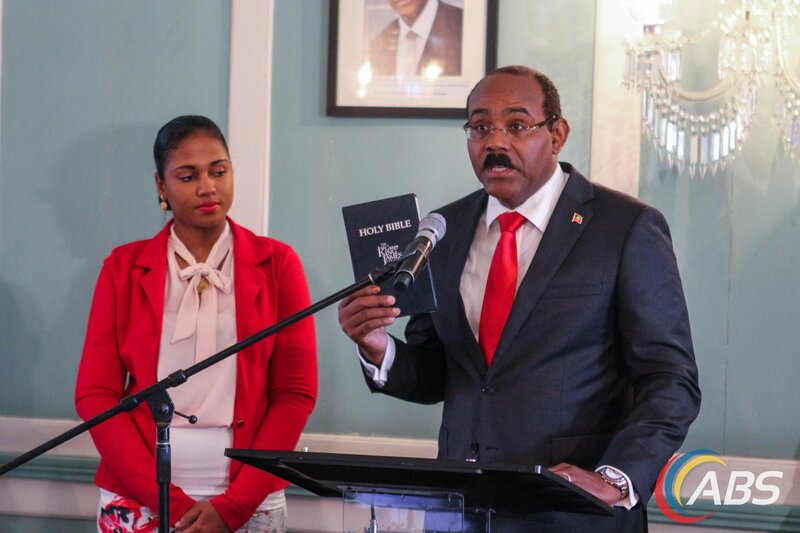 Gaston Browne was on Thursday sworn in as Prime Minister of Antigua and Barbuda for the second time, following his landslide victory in general election held on Wednesday, 21 March, 2018. Attorney General Steadroy Benjamin and other Cabinet members were also sworn into office on Thursday. The Prime Minister led his Antigua and Barbuda Labour Party (ABLP) to victory in yesterday’s General Elections, winning 15 of the 17 seats at stake, according to the preliminary results issued by electoral officials. The main opposition United Progressive Party (UPP) was declared winner of one seat on the main island, Antigua, but UPP Leader Mr Harold Lovell failed to win his seat for the second consecutive election. The Barbuda People’s Movement’s Trevor Walker won the lone seat on the smaller sister island. A CARICOM Observation Mission monitored the election day activities and will issue a preliminary statement on its assessment today.